A road is a thoroughfare designed to connect two places—a route to link communities. Virtually every definition of a road implies connectivity. Yet the unintended consequences of centuries of road building has been to divide as much as to connect. In the current era of unprec­edented urban expansion and road building, perhaps it’s time to revisit the road and to design for connectiv­ity, rather than fragmentation. There are many strategies we should pursue in re­thinking the road, not least the fundamental question whether to build a road. But my aim here is to pursue a set of approaches to transportation planning that fo­cus on retaining, reclaiming, and re-establishing con­nectivity. We can and we should reconcile our notion of mobility such that we (re)imagine the road as a de­vice for (re)connection between humans and wildlife, culture and nature. Roads connect humans but they fragment the landscape, and with it, ecosystems and habitats for all species. The TransCanada Highway and the Canadian Pacific railroad compromise an essential transportation corridor running throught the Bow River Valley, a critical habitat in the Rocky Mountains. Photo: Tony Clevenger, Parks Canada. In the last sixty years, the number of cars in the United States has increased more than threefold, and settlements have sprawled out from urban centers in unprecedented growth: roads have fragmented our landscapes, divided habitats, and grown ever more congested. Today, new roads are often built for the primary (but misguided) intention to alleviate conges­tion. Yet it’s clear that more routes lead to more traf­fic, and inevitably to further fragmentation. Divided habitat and severed landscapes degrade both nature and culture: not least, the wildlife among us. Automobile suburbs now dominate the American landscape. 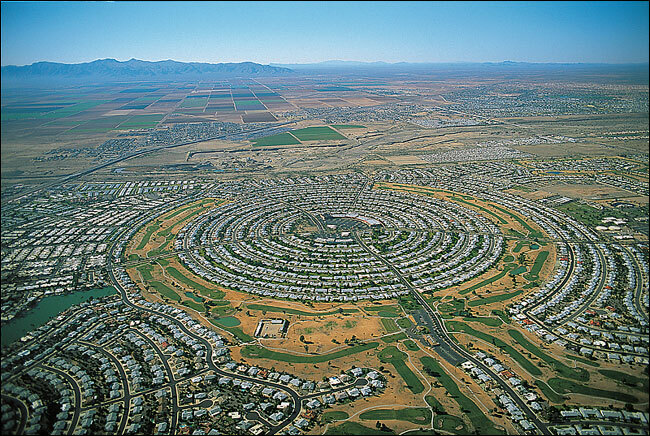 Shown here is Sun City, Arizona. Source: Patricia Leigh Brown, 2004: wirednewyork.com. Today, there are more than 4.8 million miles (7.8 million km) of roads on the continent. Americans have one of the highest rates of private automobile ownership on the planet, with more than a quarter bil­lion vehicles using these roads. Given the dominance of the road in North America and the fact that we now spend, on average, 1.5 hours per day in the car, it has become disturbingly commonplace—even accept­able—for wildlife to be killed on our roads. 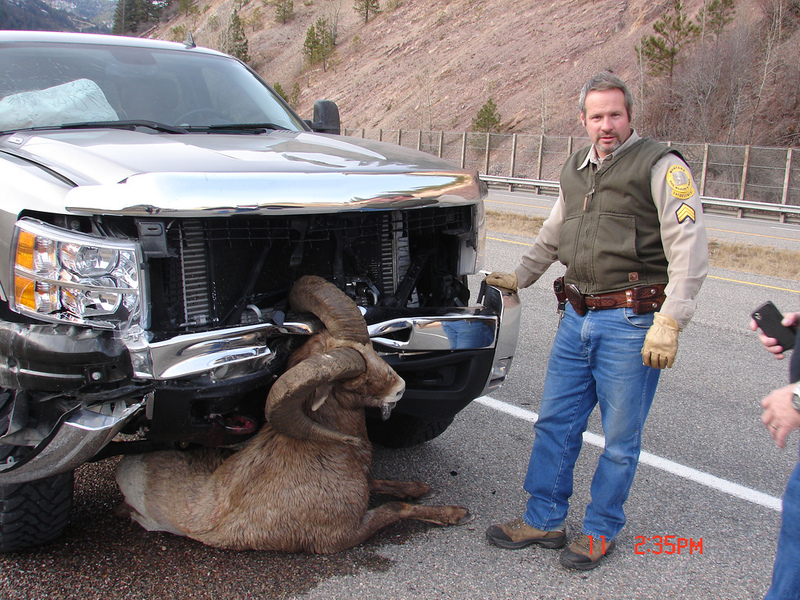 Collisions between wildlife and vehicles have increased by 50 percent in the past fifteen years. These accidents now cost Americans a staggering $8 billion every year. Collisions with deer are the most common wildlife-vehicle collision risk to humans safety in the United States. The prevalence of roadkill is an obvious and dis­turbing result of the conflict between the needs of hu­mans and animals. The human need to get to where we are going safely and quickly is a basic expectation of modern society. Yet wild animals need connected landscapes: they must cross our roads in search of food, mates, and shelter. Our expanding network of roads, highways, and interchanges criss-crosses the continent, interrupting and disconnecting our land­scapes—and with these, the territories of wild animals. Many are routinely struck and killed by vehicles in the most basic quest for survival. Large mammals pose significant risks to motorists and are also themselves vulnerable where their paths cross motorways. Photo: Sandra Jacobson. Populations of threatened, rare, and endangered species are at added risk while crossing roads to breed, feed, or migrate. Photo: Shane Macomber, Vail Daily. But this is not merely a wilderness or rural issue—it is a problem that affects everyone; those of us living and driving in busy suburban semi-rural and urbaniz­ing landscapes are more likely to witness or experience the conflicts first-hand. In fact, growing numbers of wildlife-vehicle collisions are leading to higher levels of personal injury and property damage, and with this, rising insurance premiums. While human deaths are not high compared with other accidents, wildlife-ve­hicle collisions have increased significantly. A recent U.S. Federal Highway Administration study reports that there are approximately one million to two mil­lion collisions between cars and large mammals every year in the United States. This represents a significant danger to human safety and to wildlife populations. Wildlife-vehicle collisions are also increasing as a pro­portion of the total accidents on the continent’s roads. Even if not physically hurt or economically affected by a collision, many people report feeling traumatized af­ter hitting an animal. Alongside these obvious concerns for motor­ist safety are serious implications for wildlife. Road mortality is documented as one of the major threats to the survival of twenty-one federally listed threat­ened or endangered species in North America. On a much larger scale, conventional road building results in significant losses of habitat for wild animals. Road networks fragment our landscapes into ever-smaller, disconnected patches in which wildlife must live and move, faced with declining genetic fitness as popula­tions become separated and isolated. Worse yet, basic wildlife mobility often conflicts with major transporta­tion routes. Most of North America’s major highways cross the continent in an east-west orientation, but wildlife movement patterns tend to flow north-south following mountain topography, such as the Rockies, the Appalachians, and the coastal ranges. These land­forms have always been important habitat and migra­tion corridors, and they may become still more sig­nificant. Research on climate change suggests many wildlife species may be forced to migrate in changing patterns across our landscapes in search of new habi­tats as resources become scarce in their current home ranges. 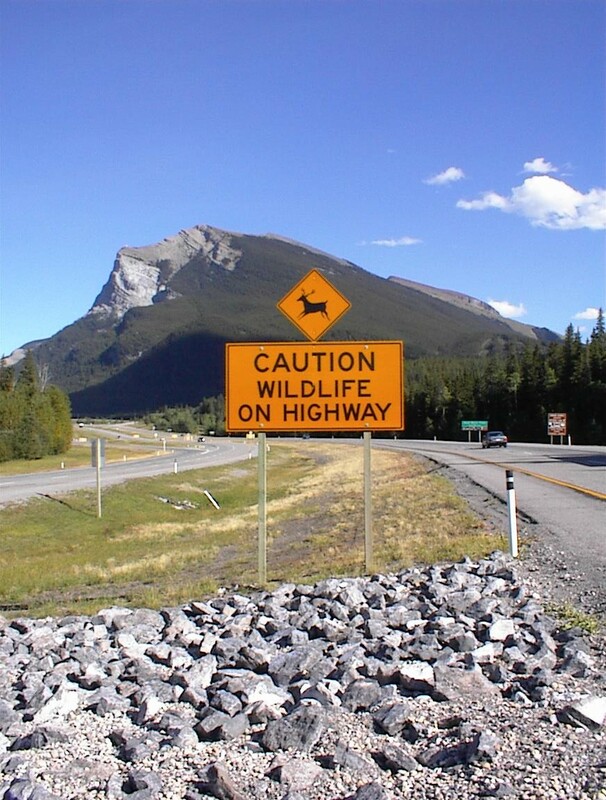 A wide variety of wildlife species are found on roads and highways that bisect their habitat. 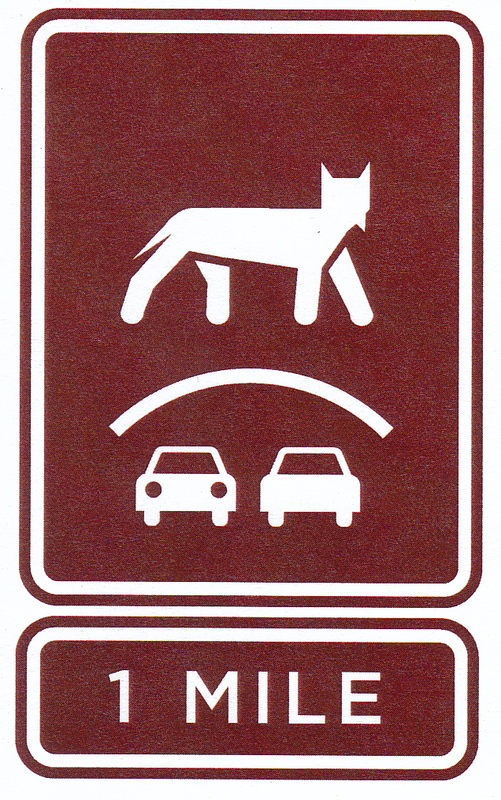 Increasingly, animals must attempt to cross busy roadways to find foo, mates, shelter, and rangelands. Source: Eric Gray, Associated Press (left, alligator); Parks Canada (right, bighorn sheep). But roadkill is not simply “bad luck” or an unfortu­nate consequence of driving; it’s an avoidable cost and a preventable loss. If we stop and rethink our domi­nant model of mobility to understand that both hu­mans and wildlife share a common need to move, we can redesign the road to provide safe passage for all. Indeed, an emerging priority for transportation and natural resource agencies is to make highways safer for both drivers and wildlife. One of the proven solutions is to build wildlife crossing structures. Also called mitigation structures, wildlife crossings include a range of built forms over and under roadways which are usually implemented in tandem with warning signs for motorists and exclusionary fencing to stream wildlife towards the structures. Deployed correctly and in the right context, wildlife crossing structures have a near-perfect success rate in preventing roadkill. Wildlife crossing structures include both overpasses and underpasses. Source: Tony Clevenger, Parks Canada. 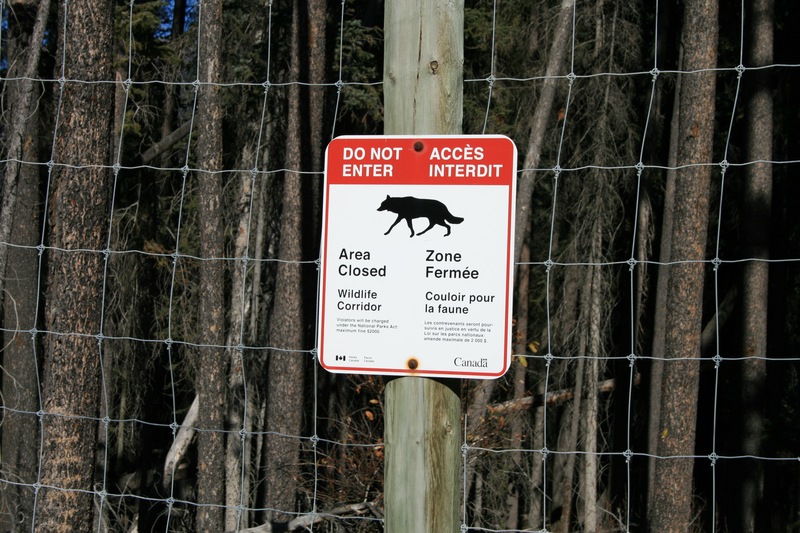 Exclusionary fencing and warning signage are strategies that should be used in tandem with crossing structures for a complete system of wildlife mitigation. Sources: (clockwise) OLIN, Nina-Marie Lister, Patricia White. 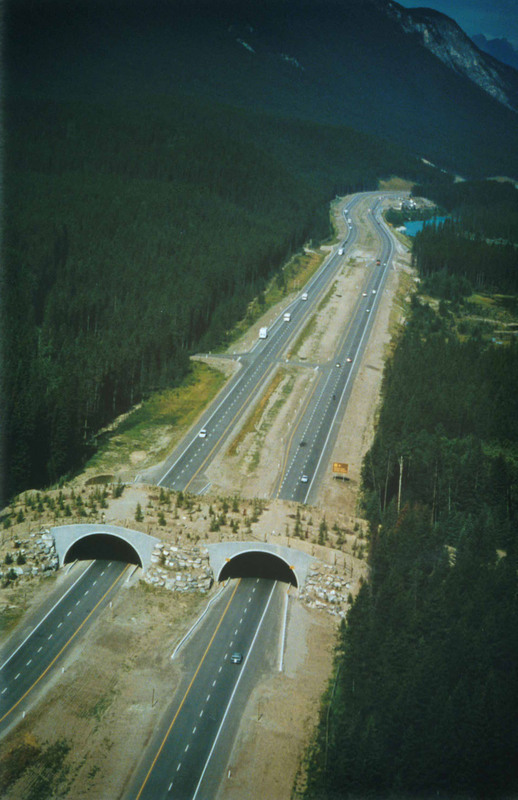 Wildlife underpasses and overpasses have been built and implemented in a variety of sizes and de­signs. While Europe has many, indeed hundreds, of wildlife crossing structures—usually referred to as “ecoducts”—North America has relatively few. The best studied and well-established overpass crossing structures are in Banff, Alberta, along the TransCan­ada highway in Banff National Park. However, these structures were not designed specifically for wildlife; rather, they were conventional transportation-engi­neered bridge structures which were adapted by add­ing a vegetated surface. They have proven remarkably successful in restoring ecological connectivity and in improving road safety. After a decade of study and demonstrated success, road ecologists are research­ing new opportunities to evolve the design and func­tion of these prototype structures by asking: could their capacities expand and the cost of their construc­tion contract with a redesign expressly for their pur­pose? New solutions to wildlife crossing infrastructure are needed to reduce the costs and to tailor each type of crossing to the specific species in various landscape contexts. In today’s climate of decreasing public in­vestment in civic infrastructure, we are faced with an increasing need to repair existing and often crum­bling transportation infrastructure; there may well be opportunities to adaptively reuse or retrofit some structures for wildlife crossing purposes, whereas new structures may test alternative and emerging sustain­able materials at lower lifecycle costs. New solutions to the construction approach and material of crossing structures must also be considered in the context of long-term ecosystem change. We may need to move, enlarge, or downsize these structures based on changing wildlife movement patterns due to changes in hab­itats, climate, or other factors that become apparent over time. In the broadest sense, a key step in reconciling mobility means capitalizing on the potential for cross­ing structures to tell a story—the story of a renewed relationship among humans, wildlife, and landscapes. In this context, wildlife crossing structures present a timely opportunity to communicate both the problems with roads and the solutions to the general public. By making crossing structures visible, people can experi­ence first-hand—and identify with—engineered land­scape designs that create safer roads for both humans and wildlife. Superhighways allow us to move so far and so quickly that it’s possible to forget about the landscapes on either side of the road. As we extend and expand the network of roads, more motorists are moving faster through remote areas: areas that were once wilderness have become essentially urbanized. Our transporta­tion networks have had the unintended consequence of rendering more of North America’s living landscape invisible. In rethinking mobility, we ought to strive not only to reduce the number and frequency of wildlife-vehicle collisions, but to use crossing infrastructure to change the way we see and understand our roads and the places through which they travel. Wildlife mitigation structures have the capacity to act as a new, visible layer of functioning landscape, weaving over and under highways, in and out of the natural landscape. In this way, crossing structures can reveal and highlight the landscape and habitats our road networks have fragmented; they have the poten­tial to express this remarkably, even beautifully. Just as suspension bridges can be elegant and delicate in appearance but strong in function, wildlife crossings—whether overpasses or underpasses—can be beautiful in their simplicity while effective in linking habitats. When designed and implemented strategically, wildlife crossing structures can radically reduce the number of collisions to save money and, most signifi­cantly, human and animal lives. Better still would be to rethink mobility at a continental scale and to rede­sign our transportation infrastructure to include a net­work of wildlife crossing overpasses and underpasses all along key migration corridors. Eventually, with an integrated network of many crossing structures in place, it may be possible to reconnect our landscapes and ultimately retain—and in some cases restore—the vital functions of North America’s wild ecosystems. It’s important to emphasize that this is not a new idea, nor is it unsubstantiated. Providing crossing in­frastructure at key points along transportation cor­ridors has been shown to improve safety, reconnect habitats, and restore wildlife movement. Throughout Europe, Asia, Australia, and North America, hun­dreds of crossing structures, or “ecoducts,” have al­ready been implemented with demonstrable success. These include underpasses and overpasses that have been constructed in a variety of sizes and designs. Al­though wildlife underpasses are generally less costly to build and more commonly used by a wide diversity of species, wildlife overpasses are preferred by certain wide-roaming and iconic species-at-risk, such as lynx, grizzly bears, and wolverines, for example. Overpass structures are also more visible and noteworthy to mo­torists, which suggests that these structures may have the potential to engage the public in ways that advance conservation education, landscape awareness, and en­vironmental literacy. In terms of structural engineering, wildlife over­passes are the reverse of most conventional bridges. This has implications for how they are designed and the materials from which they can be made. Conven­tional vehicular bridges are typically longer in span than width; that is, they are narrow enough to accom­modate maybe two to four lanes of traffic but may have a long span to cross a river, a highway, or a harbor. Wildlife bridges are typically shorter in span but much wider. They also necessarily include a thick layer of soil and vegetation—a landscaped surface—that must emulate local habitats. This means that crossing struc­tures could be designed differently from conventional bridge structures. They might include lighter, flexible, and more adaptive materials or a system of construc­tion that is modular or even dynamic. Each of these innovations has the potential to re­sult in more sustainable and affordable construction. For example, an adaptable, modular structure can also expand, contract, or be moved to respond to chang­ing habitats and climate conditions that are difficult to predict. As a new category of infrastructure, wildlife crossings are an opportunity to explore new materials, features, and approaches to building and construc­tion. This exploration is important, given the diversity of habitats and wildlife species that must be accom­modated affordably and safely. In 2010, the ARC International Wildlife Crossing Infrastructure Design Competition was launched to explore new materials, new methods, and new think­ing about wildlife crossing infrastructure. The ARC competition engaged the world’s leading engineers, landscape architects, and ecologists to create the next generation of wildlife crossing infrastructure for North America’s roadways. Designers were challenged to develop new solutions for animal road-crossing structures that would be cost-efficient, ecologically responsive, safe, and flexible; they developed concept solutions that could be readily adapted for widespread use in various locations and under many conditions, including climate change. As such, the ARC competi­tion was an opportunity to investigate and propose a range of new solutions to the problem of congested roads, fragmented habitat, and vehicle-wildlife colli­sions. Based on state-of-the-art engineering and the best available data in road ecology, the ARC competition advocated for a set of best practices in considering wildlife overpass structures. The competition began with the basic premise that any crossing design must be safe for humans and wildlife alike, but it must also demonstrate other important functions and benefits. In particular, crossing structures must be cost-effec­tive in terms of materials, construction, and mainte­nance, while also ensuring ecological responsiveness to current and anticipated conditions—yet structures should also be flexible or modular for possible use in other locations, and ideally, they should be adaptive, to facilitate mobility of wildlife under dynamic eco­system conditions. An important criterion to advance the design of crossing structures is that they must be sustainable in terms of materials and energy use and responsive to climate change. Well-designed and properly planned structures must also have an impor­tant civic value: they must be educational, revelatory, and communicative to the public, and therefore, they ought to be beautiful, engaging, and remarkable. From a pragmatic perspective, new solutions for crossing structures should be considered as early as possible in the transportation planning process so as to ensure context-specific design for target species. In the context of these criteria set out by the ARC competition, wildlife crossing structures represent a new category of infrastructure for designers, engi­neers, and scientists. As such, they require a collab­orative, interdisciplinary systemic approach for ef­fective planning and design. Yet highway engineering and transportation planning have traditionally been highly compartmentalized activities in which various experts work separately on distinct aspects of a proj­ect. Wildlife crossing infrastructure cannot be planned this way for the simple reason that there is more than one “client” for the project. Both humans and animals have different (and sometimes competing) needs re­lated to any given crossing structure; some species prefer overpasses, while others prefer underpasses. All require safety. Resolving such a design challenge requires more creativity and expertise than any one specialist af­fords. For this reason, wildlife infrastructure design is necessarily a collaborative craft, one that requires the input of many different types of experts, from ecolo­gists to architects to landscape designers to engineers and transportation specialists. Road ecologists who study and understand animal interactions with high­ways must work proactively with the federal agencies and state departments of transportation that are re­sponsible for everything from planning and engineer­ing the roads to handling collision emergencies and cleaning up roadkill. The ARC project provided a pro­active opportunity for these and other related experts to come together and collaborate in designing a new approach to wildlife and human safety. Diversity of building materials. Concept designs employ a wide diversity of building materials, including glued laminated timber, steel, Ductal concrete (which is more compres­sive and resistant), glass-reinforced plastic, and wood-core fiberglass, as well as more in­novative usage of everyday materials such as precast concrete. Layered construction techniques. De­signs incorporate layered construction tech­niques—for example, using stacked convex and concave “arcs” or steel lattice with modu­lar landscape inserts. Shape. Concept designs are based on an in­verted arc shape, which conveys the feeling of a valley for animals and results in more light for drivers and the roadway; pillar-free designs improve highway safety. Viewing platforms for the public. These range from highway pullouts at a safe distance to a “periscope” for discreet observation that is integrated into the bridge structure. Explorations of modularity. Some con­cepts extend the crossing span or width through landscaped ramps or a structural sys­tem of pieces that appear to snap together. An­other concept is based on pre-fabricated, pre-vegetated habitat modules that respond to local conditions. In all cases, modules can be added or removed as needed and can be switched out if local habitat conditions change. Modular de­signs and flexible structural solutions ensure efficient construction that saves time and is easy to build without highway closures, or with limited interruption of traffic. Monitoring of wildlife. Designs accom­modate real-time monitoring of wildlife move­ment for both scientific and public educational purposes through various features. These in­clude placement of cameras on the bridge that will download images to smartphone apps, websites, information kiosks, or local schools. Monitoring strategies are designed to permit adaptive management of vegetation and habitat—and in several cases, adaptation of the structure itself. Through these concepts, the five finalist designs in the ARC competition offer tangible examples of how we might reconcile mobility for both humans and ani­mals, in various contexts and circumstances. Each of the concept designs is profiled briefly here to illustrate the innovation and advances in design thinking and practice for this new typology of infrastructure. 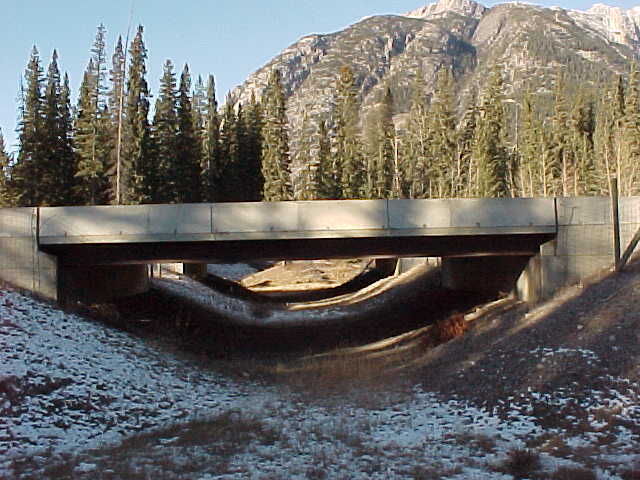 Although the ARC project began with a competi­tion for a specific location near Vail, Colorado, it’s important to emphasize that the only way to solve the problem of vehicle-wildlife collisions for good—and to truly reconcile mobility—is to have a system of cross­ing structures, including overpasses and underpasses, bridges and tunnels. No single structure alone will solve more than a localized problem; wildlife crossings must become a ubiquitous part of the North American roadscape if they are to be successful on a landscape scale. To do this, an adaptable, flexible, and modular design is needed—one that can be readily modified to different contexts and circumstances. One of the simplest and most elegant ways to be­gin this infrastructural transformation is to first use everyday materials that are readily available, but to use these materials in an uncommon and modular way. This is precisely what the winning team in the ARC competition proposed (see Hypar-Nature in the adjacent box). Designed by HNTB with Michael Van Valkenburgh Associates Inc., the winning concept for the ARC competition demonstrates how a reliable, predicable, and proven material can be deployed in an uncommon or novel way. Precast concrete is one of the most common building materials in North Ameri­ca, meaning that every state has the capability to make it, and no location in the United States is more than 250 miles (400 km) from a fabricating plant. Although concrete is not considered a sustainable material, there are improvements being made in its composi­tion. Precast concrete is readily available to use on a large scale, in many locations, which lowers the pro­duction cost for the crossing structures. As more crossings are built, continuous learn­ing through ongoing monitoring is expected. Wildlife crossings are being designed as living experiments, complete with data-gathering technologies built into the structure. The crossing infrastructures offer rich potential for learning: infrared cameras installed at crossing sites capture and record animals in transit; Web cams transmit real-time wildlife movement data to science labs and classrooms alike; and hand-held applications bring the data to passengers in a passing car. From scientist to student to tourist, wildlife cross­ings reconnect us all to the landscapes that surround us, and in so doing, have the capacity to improve environmental awareness and engage a new culture of ecological literacy and practical conservation. In turn, the design of future crossing structures will improve. Based on the lessons learned from the monitoring data gathered, structural designs can and should be adapted to the site conditions and wildlife dynamics with each successive implementation. Over time, we can expect more of the radical and prototypi­cal designs advanced by the ARC competition, along with other innovations in materiality, technology, and ecological approaches. These new solutions will be welcome additions to what is already a promising new category of infrastructure. Over time, as wildlife crossing structures become more commonplace, the public sector may be more willing to take risks with new materials and embrace more experimentation in different contexts and ap­plications. In the immediate future, the ARC project goal is to see a variety of prototypical structures built and to demonstrate to state and federal agencies and to the public at large that these crossings work on a larger scale. They will reduce animal-vehicle collisions by between 80 to 100 percent if designed correctly; with time, wildlife crossings can eliminate the prob­lem and the cost of such collisions. Clearly, modern highway design must meet many different needs. The ARC project has demonstrated that it is possible to design not only successful crossing structures, but also a process that meets the diversity of today’s transportation needs. In particular, the ARC project has already made considerable progress toward the (re)design of highways to maintain the integrity and connectivity of our ecosystems, reduce the carbon footprint, minimize the consumption of non-renewable materials, recycle resources, and extend the life cycle of transportation infrastructure—all while providing safe and efficient mobility for humans and wildlife. But we know that single, iconic bridges will not accomplish much. To be effective at the most functional level, we need a network of crossings—what some have called “an interstate for wildlife”—just as highways are a network of roads. By redesigning the road for two “clients”—animal and human—wildlife crossing infrastructure presents a timely opportunity to communicate both the prob­lem and the solution to the public. In building cross­ing structures that are visible and legible, we may em­power motorists to experience engineered landscape designs that create safer roads, while simultaneously demonstrating the importance of (re)connected land­scapes. Widespread deployment of this relatively sim­ple redesign tactic may change the way we move and live, and with this, change the dominant model of mo­bility. We have proven solutions to reweave our land­scapes, protect our wildlife populations and their hab­itats, and ultimately restore the essential functions of North America’s wild ecosystems. In redesigning the road for safe passage for all, we take one of many steps to honor the landscapes that sustain us and the places we call home. It’s time to reconcile mobility and rede­sign the road. Acknowledgements: The work of the ARC project and partners figures prominently in this essay. For this I am grateful to the Woodcock Foundation, Dr. Tony Clevenger, and the Western Transportation Institute. Special thanks are due to Christopher Alton for image research and assistance.
. Research and Innovative Technology Administration, U.S. Department of Transporta­tion, National Transportation Statistics (Washington, DC: Bureau of Transportation Statistics, 2011), Table 1-11, at http://www.bts.gov/publications/national_transporta­tion_statistics/html/table_01_11.html.
. The problem of habitat fragmentation by roads is well documented in both the scholarly literature and popular media. See, for example, J.P. Beckmann, A.P. Clevenger, M.P. Huijser, and J.A. Hilty, Safe Passages: Highways, Wildlife and Habitat Connectivity (Washington, DC: Island Press, 2010). See also the 2009 documentary by Eric Bendick, Division Street, at http://www.videoproject.com/divisionstreet.html, and the 2012 interac­tive online documentary by Leanne Allison and Jason Mendes, Bear71, at http://bear71. nfb.ca/#/bear71.
. Central Intelligence Agency, The World Fact Book, 2012, at https://www.cia.gov/ library/publications/the-world-factbook/rankorder/2085rank.html.
. S.C. Davis, S.W. Diegel, and R.G. Boundy, Transportation Energy Data Book: 30th Edi­tion (Oak Ridge, TN: Office of Energy Efficiency and Renewable Energy, U.S. Department of Energy, 2011), Table 3.5, pp. 3-9, at http://cta.ornl.gov/data/tedb30/Edition30_Full_ Doc.pdf.
. http://www.theurbancountry.com/2011/05/americans-work-2-hours-each-day-to-pay. html. See also R. Buehler, “Transport Policies, Automobile Use, and Sustainable Trans­portation: A Comparison of Germany and the USA,” Journal of Planning Education and Research 30 (2010): 76-93.
. M.P. Huijser, J.W. Duffield, A.P. Clevenger, et al., “Cost-Benefit Analyses of Mitigation Measures Aimed at Reducing Collisions with Large Ungulates in the United States and Canada: A Decision Support Tool,” Ecology and Society 14, no. 2 (2011): 15, at http://www. ecologyandsociety.org/vol14/iss2/art15/.
. 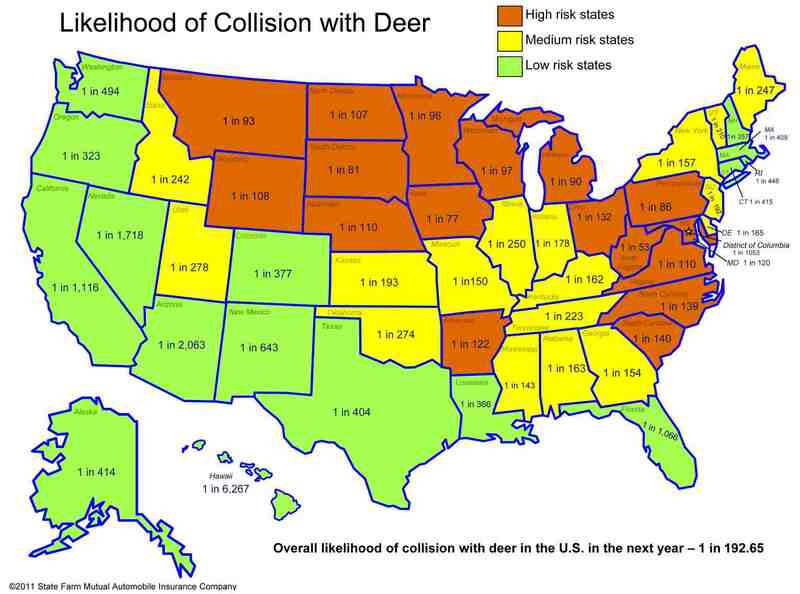 Residents of the northeastern states, particularly West Virginia (1:53) and Pennsylvania (1:86), have the highest risk of collision with deer, according to 2011 data collected by State Farm Insurance. 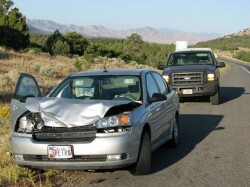 See http://www.statefarm.com/aboutus/_pressreleases/2011/october/3/ us-deer-collisions-fall-map.pdf. In parts of northeastern Canada, particularly Newfound­land, the risk of collision with moose remains an ongoing concern after detection and warning systems have failed. See http://www.roads.gov.nl.ca/moose.htm, http://www. huffingtonpost.ca/2011/07/06/moose-collisions-newfoundland-prevention_n_891343. html, and http://www.thestar.com/news/canada/article/1164685--moose-vehicle-colli­sions-in-newfoundland-at-issue-as-computerized-animal-detection-systems-fail.
. M.P. Huijser, P. McGowen, J. Fuller, et al., 2007. Wildlife-Vehicle Collision Reduction Study (Washington, DC: U.S. Department of Transportation, Federal Highway Administra­tion, 2007). Report to Congress.
. Beckmann, Clevenger, Huijser, and Hilty, Safe Passages.
. See, for example, http://www.highwaywilding.org/ and http://www.arc-solutions.org.
. R. van der Ree, J.A.G. Jaeger, E. van der Grift, and A.P. Clevenger, “Effects of Roads and Traffic on Wildlife Populations and Landscape Function: Road Ecology Is Moving Toward Larger Scales,” Ecology and Society Special Issue 16, no. 1 (2011): 48, at http://www.ecologyandsociety.org/viewissue.php?sf=41.
. N.E. Heller, and E.S. Zavaleta, “Biodiversity Management in the Face of Climate Change: A Review of 22 Years of Recommendations,” Biological Conservation 142 (2009): 14-32.
. A.P. Clevenger and M.P. Huijser, Wildlife Crossing Structure Handbook: Design and Evaluation in North America, pub. no. FHWA-CFL/TD-11-003 (Lakewood, CO: U.S. Department of Transportation, Federal Highway Administration, 2011), at http://www. 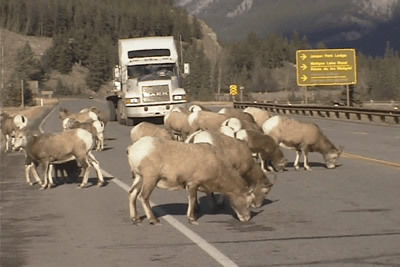 cflhd.gov/programs/techDevelopment/wildlife/documents/01_Wildlife_Crossing_Struc­tures_Handbook.pdf.
. See, for example, ongoing work by Dr. Tony Clevenger and the Road Ecology Unit at Montana State University’s Western Transportation Institute, at https://westerntransportationinstitute.org/programs/road-ecology/.
. See, for example, L. Tepper, “Road Ecology: Wildlife Habitat and Highway Design,” The Design Observer Group, posted September 22, 2011, at https://placesjournal.org/article/road-ecology-wildlife-habitat-and-highway-design/.
. ARC International Wildlife Crossing Infrastructure Design Competition 2010, Competi­tion Brief, at http://www.arc-competition.com/files/ARC_Brief.pdf. See also http://www.arc-solutions.org/.
. The five finalist teams in the ARC design competition and their submissions are posted at http://www.arc-competition.com/finalists.php.
. A. Clevenger, C. Waldheim, J. Wernick, et al., “ARC Jury Report,” letter to Dr. Nina-Marie Lister, January 18, 2011, at http://www.arc-competition.com/files/ARC_JURY_RE­PORT.pdf.
. For more on the current and ongoing work of the ARC project, see http://arc-solutions. org.
. The “interstate for wildlife” is advocated by conservationist Harvey Locke, ARC partner and a founder of the Yellowstone to Yukon Conservation Initiative; see http://www.y2y.net. Professor Nina-Marie Lister is tenured Associate Professor of Urban and Regional Planning at Ryerson University in Toronto and Visiting Associate Professor of Landscape Architecture at Harvard University Graduate School of Design.